Where’s the Best Place to Sell Diamonds? Not knowing where to sell diamonds is a common problem. 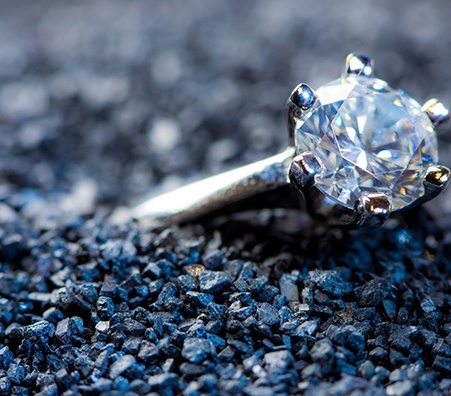 You’re looking for the best place to sell a diamond ring, but you don’t know where to start. Selling diamonds may seem intimidating, especially if you are not knowledgeable about the facets of the diamond industry. However, researching local diamond buyers will provide you with all the necessary answers to your important queries. After all, you want to be as prepared as possible before you sell your diamond for cash. Remember, knowledge is power. How Do I Sell My Diamond? Before talking about all the places where you can sell diamonds, you need to understand that you will most likely sell your diamond at a cheaper price than market value. 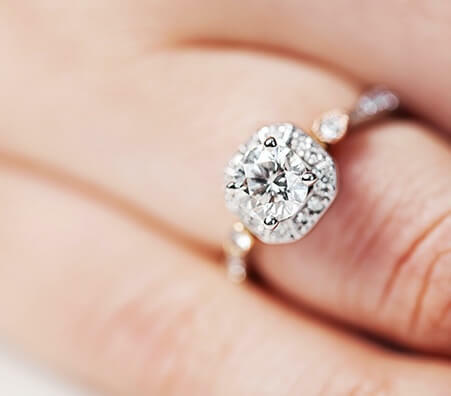 Nevertheless, you need to know some things before you go out and try to sell diamonds, as most places will offer ridiculously low prices for them. When it comes to selling, you have plenty of options to choose from, such as jewelry stores, pawnshops or a private diamond buyer. The only big advantage to stores and pawnshops is convenience, as you won't need to look for a real person interested in your diamond. 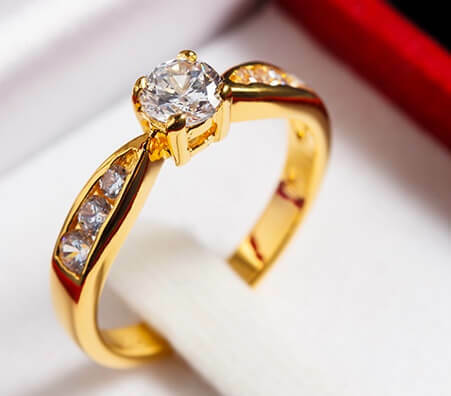 Jewelry stores will not even be interested to buy from you most of the time, as it is better for them to keep buying from the same suppliers. You might catch their interest if you own a rare diamond. In which case, they will still offer a lower price. If you chose to visit a local pawnshop to sell diamonds, you are out of luck. Pawnshops are known for their low prices, so their offers will be even lower most of the time. If you’re looking to get the best deal for the quality and craftsmanship of your diamond, a direct buyer is most probably your best option. Although this involves the most risk out of all three, it is definitely the most profitable. You can find clients online through websites like craigslist or you can look for buyers locally. Alternatively, you can try to sell diamonds on eBay, but beware of the site's commission, as they always take 15%. When Is The Right Time To Sell Diamonds? 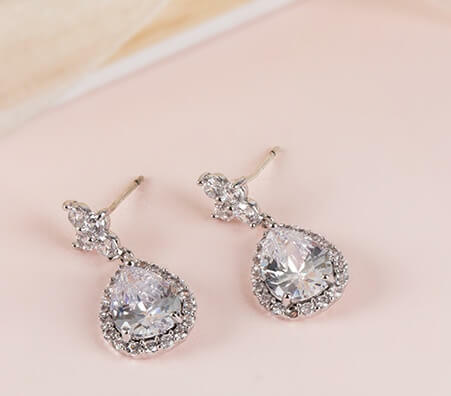 The prices of diamonds do not fluctuate as much as the prices of gold or silver, so the time to sell diamond jewelry is mainly determined by you. Take your time researching and ensuring sure you get an appropriate price for your expensive jewelry. However, selling sooner to the time you originally purchased the diamond is ideal. Customers generally prefer products in ‘like new’ condition. What Determines the Price of Diamonds? According to the Gemological Institute of America, there are more than 30 factors that help establish a more exact price when selling diamonds. 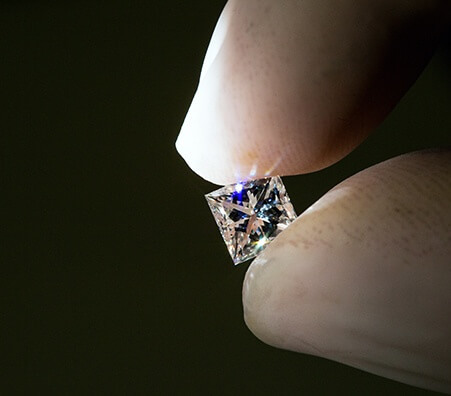 Unfortunately, most of these factors require specialized knowledge and a trained eye to detect them, so not all of them are for the common diamond owner. Instead, as the general consumer, you will want to look at the "four C's". As mentioned earlier, the four C's are the most important factors used to determine the price of a diamond when you are looking to sell diamonds. The four C's are cut, carat, clarity and color. The cut is the most complex factor out of all four. If a diamond has a good cut, it will reflect lots of bright light, but if it is cut poorly, the light will not reflect well and it will mainly exit from the bottom of the diamond. 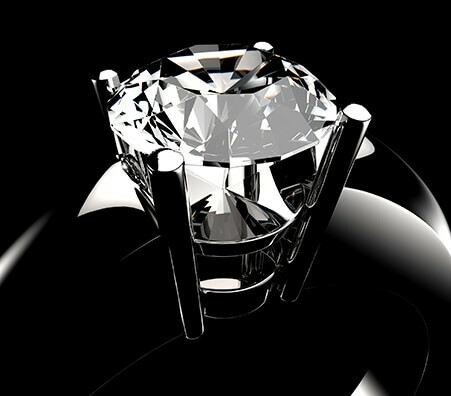 The symmetry and proportions of the diamond also play an important role in determining the quality of the diamond’s cut. When talking about the carat of a diamond, you're most likely talking about its size and weight. A carat converted into the metric system equals roughly 0.02 grams. So, the heavier your diamond is, the more pricey it is. The clarity basically refers to the quality of the diamond. The quality is determined by the specific characteristics found inside of the diamond, such as scratches, shapes, traces, and other things. Most diamonds have some kind of ‘flaw,’ and those that don’t are extremely rare and expensive. To sum it up, the less "impurities" it has, the more expensive it's going to be. The color of the diamond also has a big impact on the price. A diamond's color is rated on a scale from D (no color) to Z (yellow). The most expensive diamonds are either completely colorless or are of a vibrant color, like red, blue or yellow. Why Should I Sell My Diamond Jewelry? 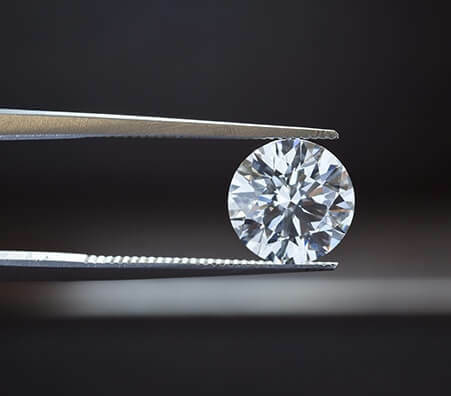 In short, everyone has his or her own reason for wanting to sell diamonds- whether you went through a recent divorce, received an expensive piece of jewelry as a gift, or simply have a loose diamond lying around from a broken necklace. Whatever the reason, read this guide for more tips and tricks for selling your diamond. How Do I Find a Diamond Buyer I Can Trust? You can find a diamond buyer through online selling platforms, like craigslist or eBay. Some online sites have user ratings or profiles for customers, so you can choose to sell to customers with only trust worthy profiles. You can also choose to find a diamond buyer locally, which is harder, but involves less risk. Here are some things to look for in a diamond buyer and some informational questions to ask. What Is the Typical Diamond Appraisal Process? If you don't already know, a diamond appraisal is an assessment of the price and worth of the diamonds in question. If you are looking to sell diamonds, it is important to have them appraised, as it will give you an idea of the estimated price you should be getting for them. The typical diamond appraisal process doesn't take very long, usually less than an hour, depending on the expert. 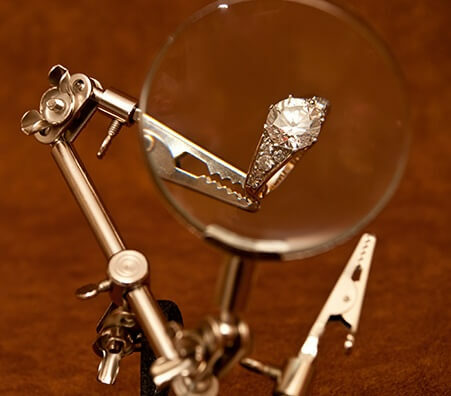 The process involves testing the diamond in different ways: measuring, weighing, closely inspecting with a magnifying glass, and looking for those characteristics inside the diamond that we talked about earlier. Should I Get My Diamonds Certified and if Yes, Where? A diamond certification is a document that describes the quality of the diamond through the four C's. Certifications are issued by labs. When looking to sell diamonds, it is a good idea to have them certified by a professional organization, like the Gemology Institute of America. 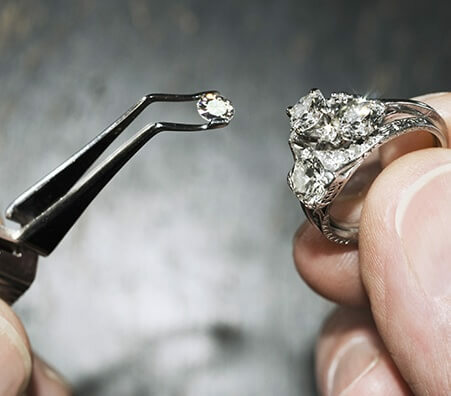 Results vary from lab to lab, but any kind of certification from a trusted lab is helpful if you want to have an easier time when trying to sell diamonds. With this in mind, you will be able to sell your diamonds safely, easily, and confidently. At Luriya, we strive hard to provide that for you by checking your diamonds in front of you using standardized, NYS approved calibrated scales. Make sure that the jeweler you choose also uses the appropriate scales and techniques. Don't take the chance that your diamonds will be undervalued. Use certified, professional jewelers that have years of experience in authenticating diamonds and diamond jewelry. With the right diamond buyers, you’ll be well on your way to a full cash payout. If you're looking to sell old diamond jewelry or sell a diamond ring, do your research and make sure you are working with a reputable diamond buyer. Look for a buyer with years of experience in the market, so you can rest assured that the best professional guidance will be at your disposal. 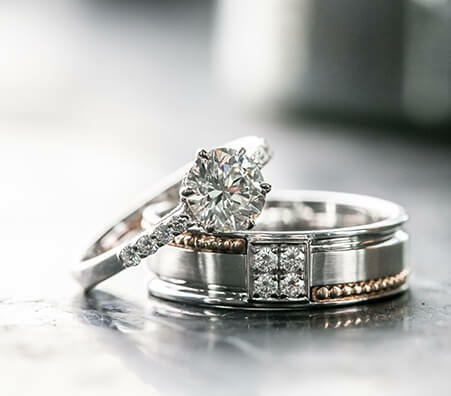 Have your diamonds and jewelry appraised by a certified jeweler before you try to sell your diamond so that you can be confident that you are getting a great offer for it. Learn where to sell diamonds with our popular E-book 12 Steps to Take Before Selling a Diamond. At Luriya, we're here to help. 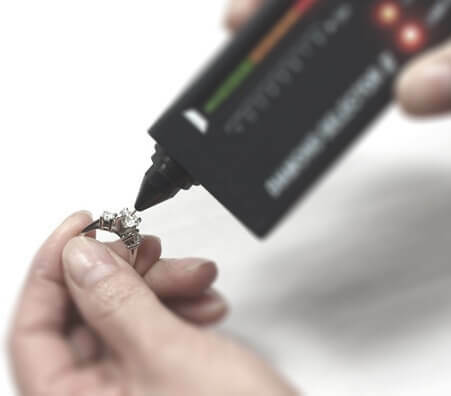 Be sure your diamonds or diamond jewelry is tested in front of you and that the testing process is explained to you. Check that the scales being used are calibrated and certified. At Luriya, our scales are all NYS certified. Make sure that your buyer’s scales are regulated by your state as well. What do you know about the buyer’s reputation? Make sure the company you choose has a good one before you sell your diamond to them. Look up reviews on websites such as Yelp. Do you know what a jeweler's stamp is and what an authentic one is supposed to look like? If not, make sure you learn before hand. Some jewelers may try to take advantage of you, so you want to make sure you’re as knowledgeable as possible about your gold or diamond. 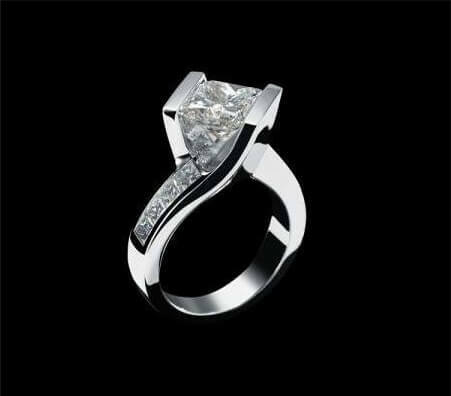 At Luriya, our jewelers are experts with many years of experience and are well respected within their industry. When choosing a jeweler to work with, make sure they can authenticate your valuables and that you get real cash for diamonds if you decide to sell. 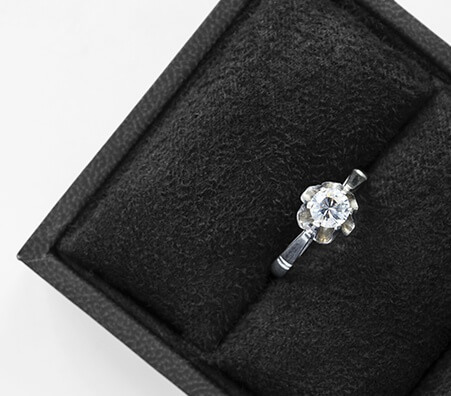 Because diamonds are valuable, vendors that buy diamonds are springing up more and more. Make sure to protect your investment and get as much cash payout as you can by selling your diamond to an established diamond buyer. 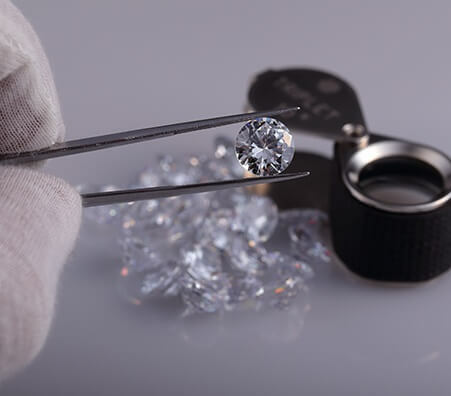 As you prepare to sell diamonds for cash, check all testing equipment being used by the dealer for standardization. In fact, they should measure everything where you can view the process. If you are selling a very expensive diamond you might consider getting a diamond appraisal with the GIA. Contact us if you would like us to guide you through that process. 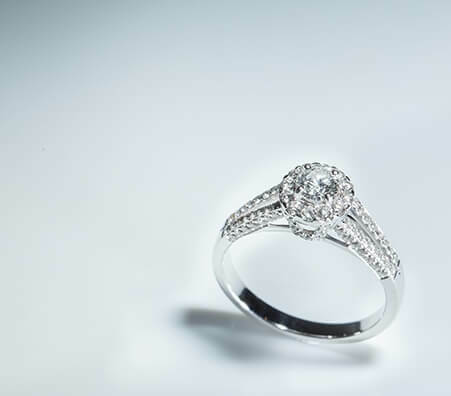 Use reliable and available resources to help you find an acceptable price for your diamond.